You may have noticed Riding the Dragon has been a little quiet lately. Well, for good reason. 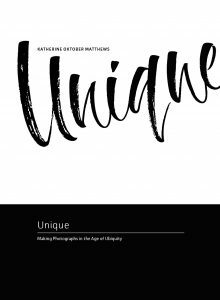 I’m happy to announce my new book: Unique: Making Photographs in the Age of Ubiquity.